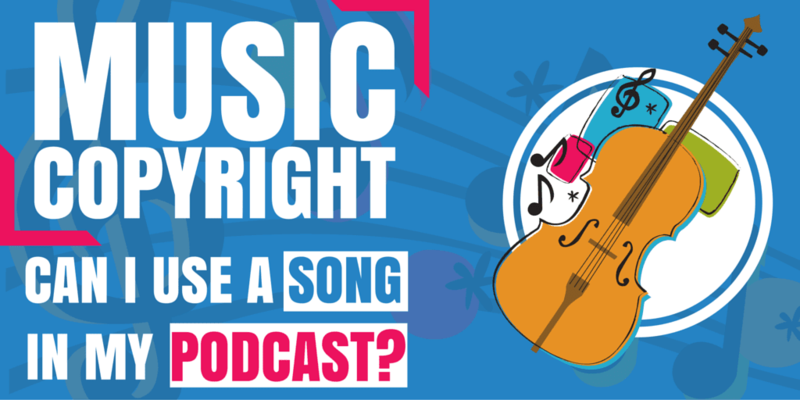 Music Copyright | Can I use a Song in my Podcast? Otherwise known as, “what can I get away with regarding copyright?” Straight away, you have to concede that you’re on the defensive. You know deep down that the music is protected and belongs to someone else. Therefore, the answer is both unsurprising, and disappointingly short. “Very little”, and that’s being hopeful. But let’s break it down. 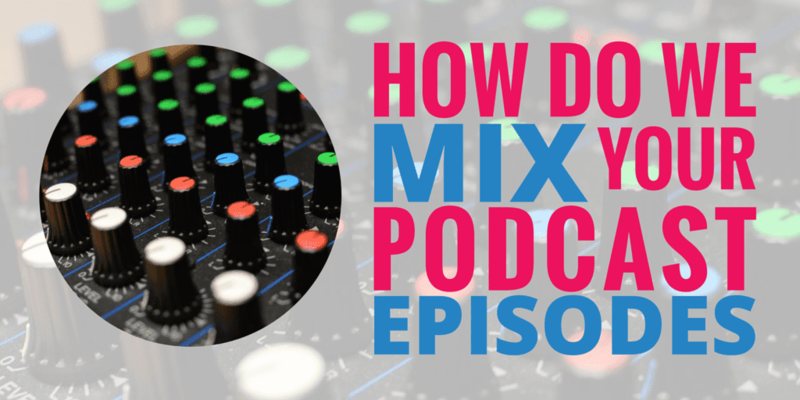 Can I use Non-Royalty Free Music on my Podcast? No, it would be copyright infringement, and you could face heavy fines from the owners. Plus, it could seriously affect your podcasting schedule and back catalogue if you were forced to suspend its availability due to a legal battle. You might get away with it. You might not. Why risk it? Can I use it for my intro/outro? No, sorry. It’s still copyright infringement, even if you just use a little bit. Using other people’s intellectual property without permission is classed as copyright infringement. It counts as a criminal offence. Yes, there are exceptions, like Fair Use, which you can look up here, but even then it’s a defence and not a loophole. There’s also Incidental Inclusion, but that’s more for when you’ve accidentally recorded some music in the background of your podcast. Say you’re recording an interview in a coffee shop or outside a music venue and you capture part of a song as actuality – you’ll be excused as you aren’t setting out to record it specifically for personal gain via your podcast. That said, you can’t use that as an excuse when you play the first 20 seconds of Yellow Submarine at the beginning and end of every episode. I’m not aware of any prosecutions so far, but that doesn’t mean it won’t happen. Remember Napster and the file-sharing furore? People were eventually prosecuted for illegally sharing music. Indeed, the legal concerns could be far higher if you have any kind of sponsorship or advertising on your podast, or even on your site itself – any source of income attributable to your podcast. The law would have to argue that you are making money, directly or indirectly, as a result of using music you haven’t paid for. What if I Only Play Part of the Song? There’s a common myth that you can get away with only playing five, ten, thirty seconds etc – sadly, it’s not true. If you play any amount of a song that is distinguishable or recognisable as that song, then you have violated copyright law. What About Fair Use (again)? I knew I shouldn’t have mentioned Fair Use earlier on. Okay, yes, you can use music if you are parodying it in some way or reviewing it. But, really, is that what your podcast is about – music reviews? If so, then go for it. If not, then Fair Use is not a defence you can hide behind. Frankly, I suspect you’d be grasping at straws here, but you’d be right in saying there is no copyright infringement if a protected work is used for the purposes of instruction and examination. And that’s provided the song itself helps in some way to teach a sbject, i.e. The History of Rock and Roll from 1946 to 1970. However, let me stress again that this must NOT be for commercial purposes, and the rights of the author must be given sufficient acknowledgement. Long story short, you can’t use copyrighted songs in your podcast without permission. Typically, companies want hundreds of dollars per episode if you want to get permission. How do I Find Music that IS Legal? There are a host of websites out there that offer music you can use – some of them are free, and others you have to pay a one-off fee for the licence. I often use jamendo.com but there’s a whole wealth of them out there, and we’ve listed many of the best on our ‘Finding Podcast Music‘ article here. Also, remember that members of our Podcast Host Academy get access to a library of royalty free music and FX. So, if you join up, you’ll get all of our courses, our coaching AND a bunch of really good tunes that you can use for any purpose you like. What if I wanted to pay for the rights to use in my podcast? Who would I talk to?